If greenhouse gas emissions are not curtailed soon, then global warming may bring about the most sweeping re-arrangement of ocean species in at least 3 million years, according to a new study. The study, published Monday in the journal Nature Climate Change, shows that by the end of the century, the polar regions may be have some of the most abundant and diverse sea life of anywhere on the planet, while the tropics, which are currently the crown jewel of marine species richness, may be drained of much of its iconic marine life. 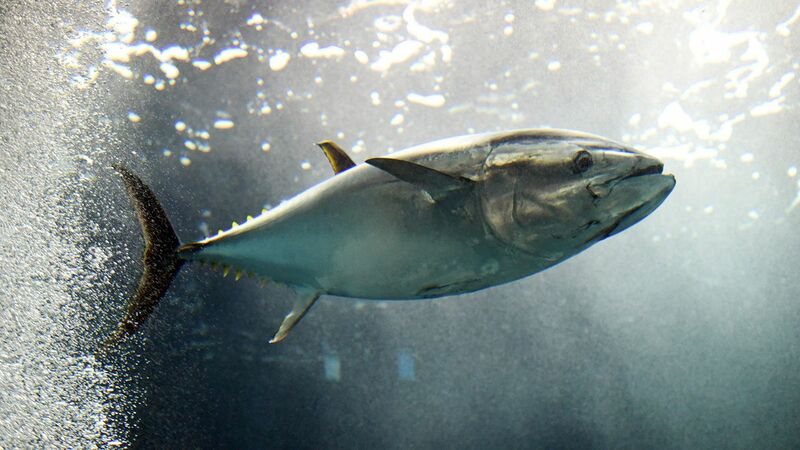 The stakes involved in which ocean species live where are high since, globally, we depend on proteins derived from fish, crustaceans and mollusks for up to a quarter of our animal protein intake, according to the World Health Organization. In 2010, fish provided more than 2.9 billion people with almost 20% of their intake of animal protein, according to the Marine Stewardship Council, and 4.3 billion people with about 15% of such protein. In some countries, these figures are higher. The study, which attempts to quantify the shifts in biodiversity that may occur during this century throughout the global ocean, offers a stark warning ahead of global climate talks in Paris in December. It finds that global warming may not alter the oceans in a profound way if emissions are cut sufficiently to meet the globally agreed upon temperature target of 2 degrees Celsius, or 3.6 degrees Fahrenheit, compared to preindustrial levels. Some policymakers now consider that goal to be nearly impossible, given the continued rise in planet-warming greenhouse gases such as carbon dioxide. If warming is held at the 2-degree target, says study co-author Richard Kirby, the changes that will occur throughout the global ocean “will be relatively benign for the ecosystem.” Kirby is affiliated with the Marine Biological Association in the U.K..
Study coauthor Grégory Beaugrand, a senior researcher at an ocean laboratory in Lille, France, and a consultant at the Sir Alister Hardy Foundation for Ocean Science in the U.K., says that tropical regions would see a net loss in biodiversity with average global warming of 2 degrees Celsius, while polar areas could see a 300% increase in biodiversity as species seek out more hospitable areas. However, if emissions stay on their current, high path, then in just the span of one century, there could be a larger biodiversity shift than the global oceans saw since the mid-Pliocene period more than 3 million years ago. This would be a staggering amount of change in such a short time period, which could result in many surprises that scientists don’t yet anticipate. 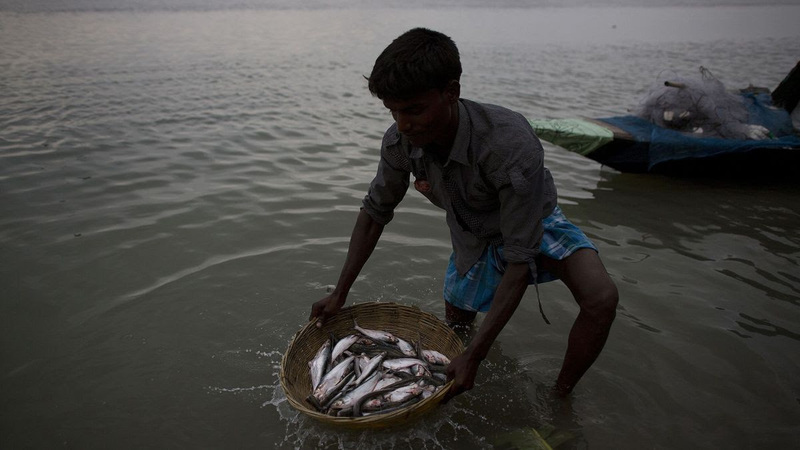 It would also present unprecedented challenges for the fishing industry, which is locally adapted to catching present-day species, including the rapidly-growing global aquaculture industry. As species migrate toward the poles, fishing fleets will have to be remodeled to hunt for a new mix of species. This has occurred already in Newfoundland and parts of the northeast U.S., where the cod fishery has collapsed, giving way to more of a lobster and crab fishery. This shift is not an easy one to make, since crab fishing requires totally different gear than hunting groundfish species like cod and haddock. “The transition period will have a devastating impact on fisherman and from a socioeconomic point of view,” Beaugrand told Mashable. Even a moderate warming that is less than a worst-case scenario could yield a major reorganization of marine biodiversity over large oceanic regions by the 2081-2100 period. These changes may be at least three times greater than the shifts observed between the years 1960-2013, the study found. Exceeding the 2 degrees Celsius target, Beaugrand said in an interview, would mean that “between 78 and 95% of the ocean will show substantial changes” in biodiversity by the end of the century. Unlike terrestrial species, marine creatures can and already are migrating in search of more suitable environments once temperatures exceed their tolerable ranges. This has been seen in several studies of the North Sea in particular, where shifts in the amount and types of plankton and other foraminifera as well as commercially-prized fish have been observed. In the northeast Atlantic, for example, plankton, which are organisms that produce oxygen through photosynthesis and form the foundation of the marine food web, have already shifted northward by 10 degrees of latitude due in part to ocean temperature increases in that region. 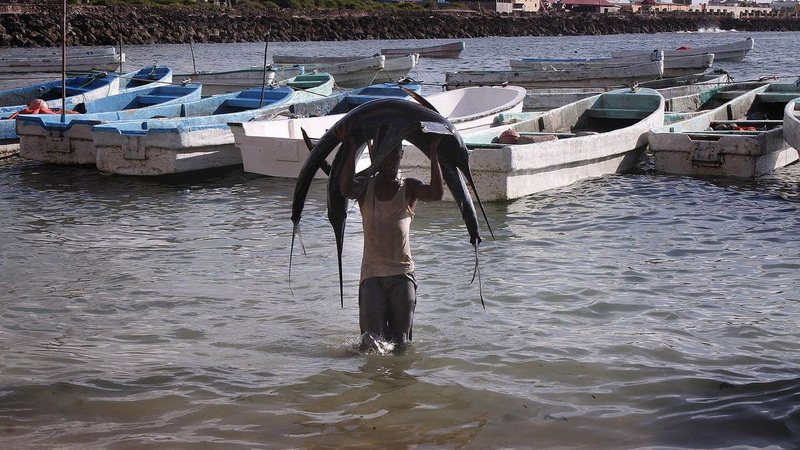 Somalian fisherman carries swordfish on his head from the port to the fish market on the eastern Curubo beach of the Somalian capital city of Mogadishu, on November 24, 2014. When looking at changes between 1960 and 2013, the study found that 30% of the area of ocean already showed substantial changes in biodiversity, “which is six times higher” than changes due to natural variability alone, Beaugrand said. “Climate change already has an impact on marine biodiversity,” he says. A severe global warming scenario featuring continued emissions growth through the end of the century could cause between 50 to 70% of the world’s oceans to experience a change in marine biodiversity comparable or more extensive that those that occurred since the mid-Pliocene and today, as well as since the last glacial maximum — when thick ice sheets covered areas from Washington, D.C., to Seattle and northward. “It’s really worrying, because this is the whole ocean that will change,” Beaugrand says. The mid-Pliocene is of interest because it was the last time that climate conditions are thought to have been similar to what is projected for the end of the century. At that time, global carbon dioxide concentrations were about 400 parts per million, which is where it stands now, and global average temperatures were 2 to 3 degrees Celsius (3.6 to 5.4 degrees Fahrenheit) higher than today. Global sea levels were about 66 feet higher than today, as well. The last glacial maximum lasted from about 26,500 to 20,000 years ago. During this time period, the amount of carbon dioxide in the air was just 190 parts per million, according to the study, and the average sea level was 425 feet below current levels. Between the last glacial maximum and today, about 85% of the global ocean area showed substantial modification in marine biodiversity, Beaugrand said, while between the mid-Pliocene and today, 75% of the global ocean showed substantial changes. Yet this all played out over thousands to millions of years, not in just a century, which is the timeline we’re looking at with regards to manmade global warming. In other words, there’s no precedent in all of human history for what may be about to happen, which is extraordinarily risky given that we depend on the oceans for ecosystem services from food to oxygen production and heat storage. The study used a theoretical model that relies upon fundamental ecological principles and previously known findings of how biodiversity changes with temperature fluctuations to come up with, essentially, “pseudo marine communities,” as the study refers to them. The authors compared the modeled biodiversity patterns to observed patterns based on previous studies, and found that there was a statistically significant amount of agreement. 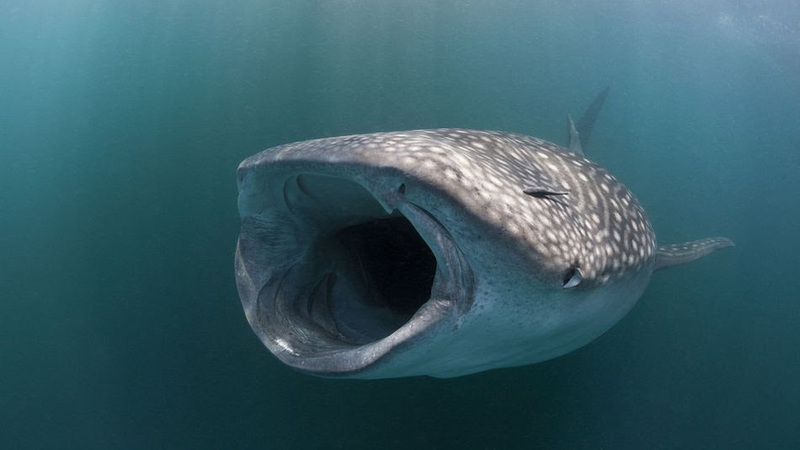 The study allowed tens of thousands of modeled species, each with different biological properties including temperature ranges, to colonize the ocean. The researchers used data from deep sea sediment cores to look at how plankton groups have changed through time in order to fine-tune their modeling results. One drawback to this study, as well as others that focus on global ocean species, is that we know more about Mars than we do about much of the ocean. So far, Beaugrand says, we’ve only described the characteristics of about 200,000 marine species, which is about 10% of the marine biodiversity that scientists think is out there. We have an incomplete knowledge of marine biology and spatial distribution — that could limit the reliability of studies like this to some extent. Another wild card is exactly how ocean acidification, which is also caused by climate change, will alter marine biodiversity and functioning of marine ecosystems. Such studies are currently in their infancy. Brian Hajeski, 41, of Brick, New Jersey, reacts as he looks at debris of a home that washed up on to the Mantoloking Bridge the morning after Hurricane Sandy rolled through, Tuesday, October 30, 2012, in Mantoloking, New Jersey. Climate researchers have long warned that the Arctic is particularly vulnerable to global warming. The dramatic shrinking of sea ice in areas circling the North Pole highlights those concerns. A new report finds that the disappearing ice has apparently triggered another dramatic event – one that could disrupt the entire ecosystem of fish, shellfish, birds, and marine mammals that thrive in the harsh northern climate. Each summer, an explosion of tiny ocean-dwelling plants and algae, called phytoplankton, anchors the Arctic food web. But these vital annual blooms of phytoplankton are now peaking up to 50 days earlier than they did just 14 years ago, satellite data show. “The ice is retreating earlier in the Arctic, and the phytoplankton blooms are also starting earlier,” said study leader Mati Kahru, an oceanographer at the Scripps Institution of Oceanography in San Diego.